Connally High School Graduation: 1 - 2:30 p.m.
Pflugerville High School Graduation: 3:30 - 5 p.m. 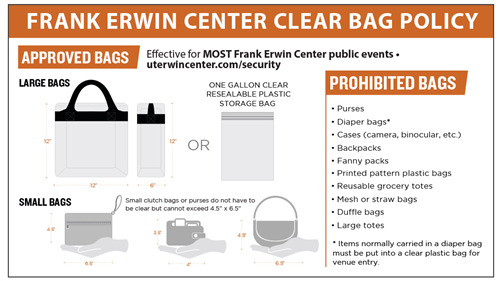 Please note: The Frank Erwin Center has a clear bag policy. See information below.